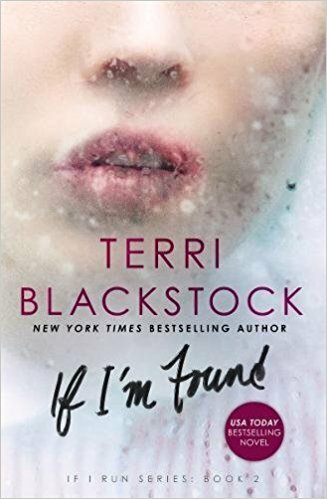 If I'm Found is book two from the If I Run series. Casey Cox is still on the run and Dylan Roberts is still on her trail. She must uncover who is the real murderer and then finds herself in more danger. Will Dylan help her or turn her in? If I Found is another book by Terri Blackstock that kept me on the edge of my seat. I kept guessing who to trust and who not to trust. Casey really found herself in dangerous situations and I hoped Dylan would get to her in time to help her and protect her. The story is action-packed and so thrilling that I did not want to put the book down. What a page turner! I cannot wait to find out what happens next in the series. Jefferson's America: The President, The Purchase, and The Explorers Who Transformed a Nation is an interesting read. 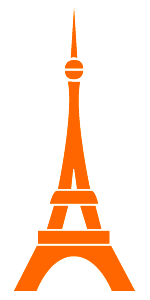 It tells the story about the discovery, exploration, and consequences of the Louisiana Purchase. I learned more about the Louisiana Purchase than I had known before. I had no idea that Thomas Jefferson and America were facing war with Spain because of this major purchase for our country in history. I was fascinated by the events. The information was a little overwhelming at times, making me a little bored and needing to put the book down for a bit. My favorite part of the whole book was the end where it tells what happened to the major known explorers after they came back home, such as, William Clark, Meriwether Lewis, and Sacajawea. 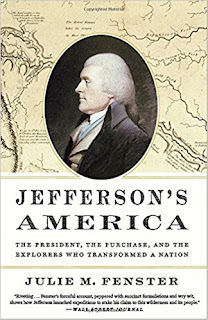 I would recommend this book for those who enjoy nonfiction about American history. I received this book from Blogging for Books program. I was not required to write a review. This review is 100% my own honest opinion. Trusting Grace is the third book from the Virtues and Vices of the Wild West series by Maggie Brendan. 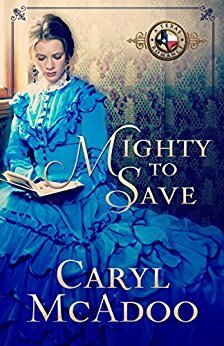 In this installment, widowed and childless, Grace Bidwell, is taking care of her ailing father and struggles to run a farm alone. She posts a help wanted ad in town to hire someone at the farm. Widower Robert Frasier, comes to town with three children in tow. He has a lot of hurt and bitterness toward his late wife and trusts no woman. When Grace meets the three precious children, she instantly connects with them. Feelings begin to grow between Robert and Grace, but can they get over the past to move forward? 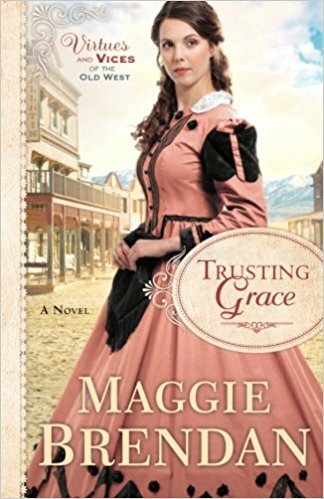 I thought Trusting Grace was a pretty good read. Even though it was predictable, I still enjoyed it. I like the characters of Grace and Robert but Grace's father and Stella were my favorites. The story is sweet with the lesson of learning how to have faith, taking chances, moving on from the past, and being able to forgive. I would give this book four out of five stars and believe it is most definitely a worth a read. I received this book from the author, but was not required to write a review. This review is 100% it's my own honest opinion. 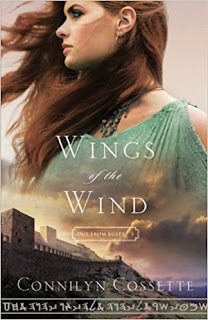 Wings of the Wind is book three from Connilyn Cosette's Out From Egypt series. In this installment, the reader is introduced to Canaanite, Alanah, who had lost her family by the Hebrews. She seeks revenge and goes to battle against them. She is then injured and meets Hebrew Tobiah. He feels he must protect her and marries her. She finds peace until her past comes back and she finds herself in danger. How will she survive? I enjoyed Wings of the Wind. I thought it was a good piece of Biblical Fiction. The author's vision of how the people lived during those times were vivid and I felt like I was right there living among them. I instantly fell in love with Tobiah. His love of faith was admirable and how he wanted to protect Alanah was sweet. I would most definitely recommend Wings of the Wind, as well as, the rest of the Out From Egypt series. 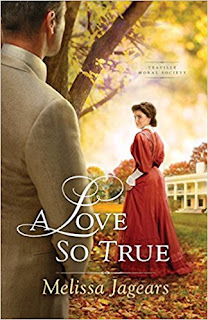 A Love So True is the second novel from Melissa Jagears's series, Teaville Moral Society. Evelyn Wisely loves working at the orphanage but wants to help others, as well. Her employer agrees to help her build a shelter for the women of Teaville if she gets the approval from others in town. She finds an ally in David Kingsman, a local businessman. They develop a partnership that could be more than they bargained for. I enjoyed A Love So True. I admired Evelyn's determination to help those who had fallen on hard times and had hope to give them a new life they never have imagined without her help. Evelyn is such a strong woman of her time. I love the character of David and loved how he grew throughout. This story had some really serious scenes that were hard to read, as well as some tender, sweet moments. I love how it all came together in the end. 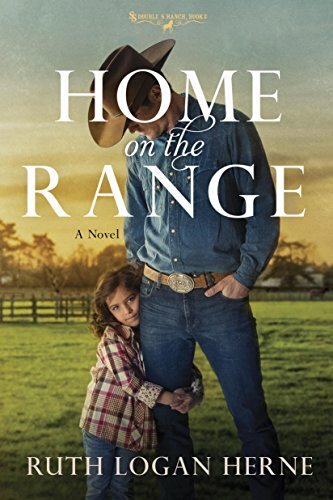 Home On the Range is the second book from Ruth Logan Herne's series, Double S Ranch. This installment involves Colt Stafford's brother, Nick. He is still dealing with his ex-wife, Whitney, leaving their family three years earlier. Struggling being a single dad to his two little girls, he gets the help he needs from psychologist Dr. Elsa Andreas. Elsa, too, had her own struggles in the past and has to learn to trust herself and live again. Just when things were coming together, Whitney shows up, turning everyone's world upside down. I absolutely love the first book of the series, Back in the Saddle, and could not wait to continue the series. 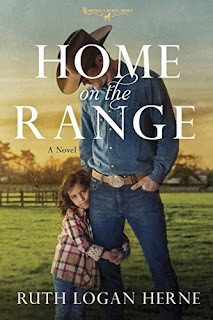 Home On the Range did not disappoint! I was not sure if I really cared for Nick when I first was introduced to him and Back in the Saddle. He sure did grow on me! I sure love his sweet little girls. My heart just ache for them not having their mother, but admired Nick's courage and determination to be a good dad to them. They were so cute with Elsa and love the authors comedic references to the Disney movie, Frozen. I truly enjoyed everything about this story. 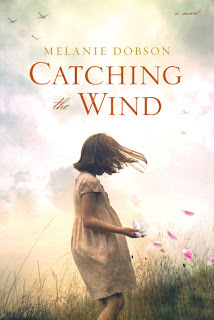 It is beautiful, tender, well written with some laugh out loud moments, and more importantly, a wonderful reminder it is never too late to forgive and move forward. Looking forward to the third book of the series. I received this book from Blogging for Books program. This review is 100% my own honest opinion.